Monticellite: Mineral information, data and localities. Olivine Equivalent to Fayalite-Forsterite Series; usually a more or less Fe-bearing forsterite. Orth. Perovskite 5 photos of Monticellite associated with Perovskite on mindat.org. Calcite 5 photos of Monticellite associated with Calcite on mindat.org. Dysanalyte 4 photos of Monticellite associated with Dysanalyte on mindat.org. Ilmenite 3 photos of Monticellite associated with Ilmenite on mindat.org. Harkerite 3 photos of Monticellite associated with Harkerite on mindat.org. Blue Diopside 3 photos of Monticellite associated with Blue Diopside on mindat.org. Foshagite 3 photos of Monticellite associated with Foshagite on mindat.org. Vesuvianite 3 photos of Monticellite associated with Vesuvianite on mindat.org. Hillebrandite 2 photos of Monticellite associated with Hillebrandite on mindat.org. Malachite 2 photos of Monticellite associated with Malachite on mindat.org. Brooke, H.J. (1831) On Monticellite, a new Species of Mineral. The Philosophical Magazine, Or Annals of Chemistry, Mathematics, Astronomy, Natural History and General Science: 10: 265-266. Brown, G.B. and West, J. (1928) Zeitschrift für Kristallografie: 66: 154. Schaller, Waldemar Theodore (1935) Monticellite from San Bernardino County, California, and the monticellite series. American Mineralogist: 20: 815-827. Neuvonen, Kalle J. (1952) Heat of formation of merwinite and monticellite. American Journal of Science, Bowen volume: 373-380. Journal of the Mineral Society of Japan (1979) 14: 129. Valley, J.W. and Essene, E.J. (1979) Vesuvianite, akermanite, monticellite and wollastonite equilibria and high X H2O/CO2 at Cascade slide, Mt Marcy Quad, Adirondack Mts. EOS: 60: 423. Kimata, M. and Nishida, N. (1987) The crystal structure of Co-monticellite Ca1.255Co0.745SiO4 and its significance as a solid solution crystal. Neues Jahrbuch für Mineralogie, Monatshefte: 160-170. Sharp, Z.D., Hazen, R.M., and Finger, L.W. (1987) High-pressure crystal chemistry of monticellite, CaMgSiO4. American Mineralogist: 72: 748-755. Chopelas, A. (1991) Single crystal Raman spectra of forsterite, fayalite, and monticellite. American Mineralogist: 76: 1101-1109. Pilati, T., Demartin, F., and Gramaccioli, C.M. (1995) Thermal parameters for minerals of the olivine group: their implication on vibrational spectra, thermodynamic functions and transferable force fields. Acta Crystallographica: B51: 721-733. Mouri, T. and Enami, M. (2008) Raman spectroscopic study of olivine-group minerals. Journal of Mineralogical and Petrological Sciences: 103: 100-104. Kojima, T., Yada, S. & Tomeoka, K. (1995) Ca-Al-rich inclusions in three Antarctic CO3 chondrites, Yamato-81020 Yamato-82050 and Yamato-790992: Record of low temperature alteration. Proc. NIPR Symposium. Antarct. Meteorites 8: 79-96. (May 1995). ; Brearley, A. J. & Jones, R. H. (1998) Chondritic Meteorites: IN: Planetary Materials (James J. Papike, Editor), Chapter 3, 398 pages: Mineralogical Society of America: Washington, DC, USA. Kiviets, G. B., Phillips, D., Shee, S. R., Vercoe, S. C., Barton, E. S., Smith, C. B., & Fourie, L. F. (1998). 40Ar/39Ar dating of yimengite from Turkey Well kimberlite, Australia: the oldest and the rarest. Ext. Abstr. In 7th International Kimberlite Conference (pp. 432-434). 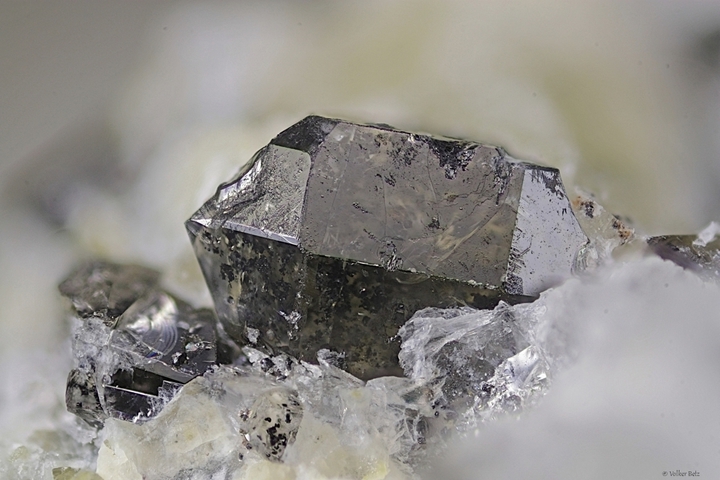 Kolitsch, U., Brandstätter, F., Schreiber, F., Fink, R. & Auer, C. (2013): Die Mineralogie der weltweit einzigartigen Schlacken von Waitschach, Kärnten. Annalen des Naturhistorischen Museums in Wien, Serie A, 115, 19-87 (in German). Schultz, F. et al. (2004) Contrib. Mineral. Petrol., 148, 391-408. Gibson, S. A., Thompson, R. N., Leonardos, O. H., Dickin, A. P., & Mitchell, J. G. (1995). The Late Cretaceous impact of the Trindade mantle plume: evidence from large-volume, mafic, potassic magmatism in SE Brazil. Journal of Petrology, 36(1), 189-229. Sabina, A.P. (1972) Rocks & minerals for the collector: The Alaska Highway, Dawson Creek, British Columbia to Yukon/Alaska border. GSC paper 72-32, 48. OWENS, B.E. & KREMSER, P.T. (2010) Åkermanite breakdown to cuspidine-bearing sympectite in a calc-silicate xenolith, Kiglapait intrusion, Labrador, Canada. Canadian Mineralogist 48, 809-819. Anton R. Chakhmouradian and Roger H. Mitchell (2001) Three compositional varieties of perovskite from kimberlites of the Lac de Gras Field (Northwest Territories, Canada). Mineralogical Magazine 65:133-148; Chakhmouradian, A. R., Reguir, E. P., & Mitchell, R. H. (2002). Strontium-apatite: New occurrences, and the extent of Sr-for-Ca substitution in apatite-group minerals. The Canadian Mineralogist, 40(1), 121-136.; Masun, K. M. (1999). The petrography and mineralogy of the Lac de Gras kimberlite field, Slave Province, Northwest Territories: A comparative study. Master of science, Department of Geology, Lakehead University. A.K. Chatterjee, "Mineralization and associated wall rock alteration in the George River Group, Cape Breton Island, Nova Scotia", Ph.D. thesis, Dalhousie University, Halifax, Nova Scotia, 197 p., 1980. Wu, F. Y., Yang, Y. H., Mitchell, R. H., Bellatreccia, F., Li, Q. L., & Zhao, Z. F. (2010). In situ U–Pb and Nd–Hf–(Sr) isotopic investigations of zirconolite and calzirtite. Chemical Geology, 277(1), 178-195. Gaston Pouliot (1970) Study of carbonatitic calcites from Oka, Quebec. Can Mineral 10:511-540; Sokolov S.V. (2010) On portlandite from carbonatite complexes. Abstracts of XXVII International conference School «Geochemistry of Alkaline rocks». – Moscow-Koktebel’. pp. 240 pp. Sabina (1968); GOLD, D.P. (1972): The Monteregian Hills: ultra-alkaline rocks and the Oka carbonatite complex. 24th International Geological Congress (Montreal), Guidebook B-11. Bowen, 1922 Williams, Turner, Gilbert, 1954. ; Henderson, C. M. B., Kogarko, L. N., & Plant, D. A. (1999). Extreme closed system fractionation of volatile-rich, ultrabasic peralkaline melt inclusions and the occurrence of djerfisherite in the Kugda alkaline complex, Siberia. Mineralogical Magazine, 63(3), 433-438. Wang, S. (1983): Bull. lnst. Min. Deposits, Chinese Acad. Geol. Sci. 9, 72. Cao Zhengmin, and Zhu Hong (2000): Acta Petrologica et Mineralogica [Yanshikuangwuxue Zazhi] 19(1), 69-77. A. M. Davis (1985). Refractory Inclusions in the Ornans C3O Chondrite (Abstract). Lunar and Planetary Science XVI, pp. 165-166. Bender, D. and Krimmelbein, W. (1994) Aktuelle Übersicht: Mineralien der Zinkhütte Genna/Sauerland. Stand Juni 1994. Mineralien-Welt, 4/94, 10.; Blaß, G. & Graf, H.W. (1995) Neufunde von bekannten Fundstellen (13). 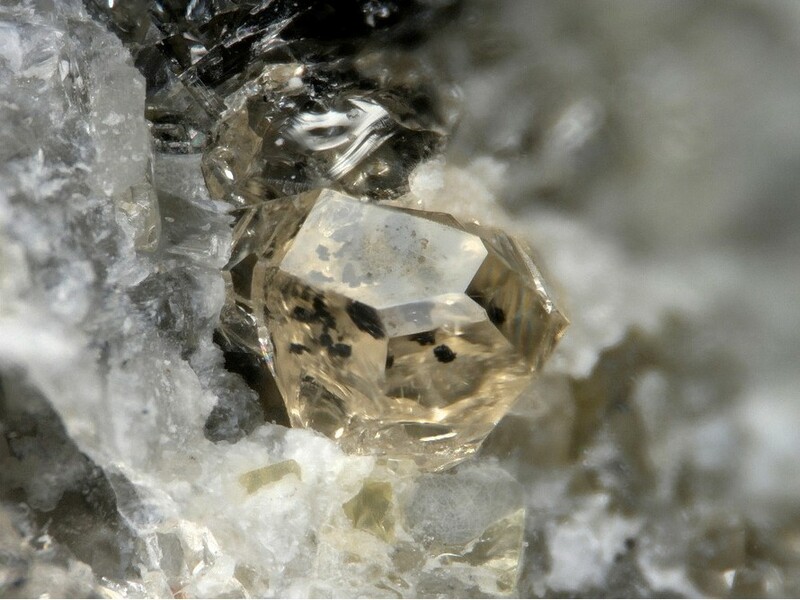 Mineralien-Welt, 6 (3), 47-51. Mertig, H. J., Rubin, J. N., & Kyle, J. R. (1994). Skarn Cu Au orebodies of the Gunung Bijih (Ertsberg) district, Irian Jaya, Indonesia. Journal of Geochemical Exploration, 50(1), 179-202. Mertig, H. J., Rubin, J. N., & Kyle, J. R. (1994). Skarn Cu Au orebodies of the Gunung Bijih (Ertsberg) district, Irian Jaya, Indonesia. Journal of Geochemical Exploration, 50(1-3), 179-202. Prendergast, K. (2003). Porphyry-related hydrothermal systems in the Estberg District, Papua, Indonesia (Doctoral dissertation, James Cook University). Al-Hermezi, H. M., McKie, D., & Hall, A. J. (1986). Baghdadite, a new calcium zirconium silicate mineral from Iraq. Mineralogical Magazine, 50, 119-123. S. R. Nockolds and H. G. C. Vincent (1947) On Tilleyite and Its Associated Minerals from Carlingford, Ireland. Mineralogical Magazine 28:151-158.
rearley, A. J., and Jones, R.H. (1998) Chondritic Meteorites. In: Papike, J. J., editor, Planetary Materials: Chapter 3. Mineralogical Society of America, Washington, DC, USA, Reviews in Mineralogy, volume 36, pages 3-001 - 3-398. F. Stoppa and Y. Liu, Eur. J. Mineral. , 1995, 7, pp. 391-402. Munno R., Rossi G., Tadini C. (1980): Crystal chemistry of kimzeyite from Stromboli, Aeolian Islands, Italy. American Mineralogist, 65, 188-191. Exel, R. (1987): Guida mineralogica del Trentino e del Sudtirolo. Athesia, Bolzano, 204 pp. Avanzini M. & Wachtler M. (2007): Minerali e fossili del Trentino dalle Dolomiti al Lago di Garda. Athesia. Bressanone, 55pp. Sperl, G. (1980): Über die Typologie urzeitlicher, frühgeschichtlicher und mittelalterlicher Eisenhüttenschlacken. Verlag der Österreichischem Akademie der Wissenschaften, Wien, Austria, 68 pp. & 61 Figures. F. Stoppa and Y. Liu, Eur. J. Mineral. , 1995, 7, pp. 391-402.; Stoppa, F., & Lupini, L. (1993). Mineralogy and petrology of the Polino monticellite calciocarbonatite (Central Italy). Mineralogy and Petrology, 49(3-4), 213-231. Stoppa, F., Sharygin, V.V., and Cundari, A. (1997): Mineralogy and Petrology 61, 27-45.; Sharygin, V. V., Pekov, I. V., Zubkova, N. V., Khomyakov, A. P., Stoppa, F., & Pushcharovsky, D. Y. (2013). Umbrianite, K7Na2Ca2 [Al3Si10O29] F2Cl2, a new mineral species from melilitolite of the Pian di Celle volcano, Umbria, Italy. European Journal of Mineralogy, 25(4), 655-669; Plechov, P.Yu., Nekrylov, N.A., Shcherbakov, V.D., Tikhonova, M.S. (2017) Extreme-Mg olivines from venancite lavas of Pian di Celle volcano (Italy). Doklady Earth Sciences, 474, Part 1, 507–510 and for the original Russian text Плечов, П.Ю, Некрылов, Щербаков, В.Д., Тихонова, М.С. (2017) Экстремально магнезиальные оливины из венанцитовых лав Пиан-ди-Челле (Италия). Доклады Академии наук [Doklady Akademii Nauk], 474, 3, 331–335. ; Stoppa, F., & Schiazza, M. (2014). Extreme chemical conditions of crystallisation of Umbrian Melilitolites and wealth of rare, late stage/hydrothermal minerals. Central European Journal of Geosciences, 6(4), 549-564. Boscardin, M., Da Meda, E., Zordan, A. (1988): I minerali di un nuovo giacimento di contatto presso Schio (VI) - Rivista Mineralogica Italiana, 11, 2 (2-1988), 73-78; Boscardin, M., De Zen, L., Zordan, A. (1989): I minerali della Val Leogra e della Val d'Astico nel Vicentino. Cassa Rurale e Artigiana di Schio, Grafiche Marcolin, Schio, 140 pp.Boscardin, M., Daleffe, A., Rocchetti, I., Zordan, A. (2011): Minerali del Vicentino - Aggiornamenti, località e nuove determinazioni. Museo di Archeologia e Scienze Naturali “G. Zannato”, Montecchio Maggiore (Vicenza), 183 pp. ; Zordan, A. (2014): Provincia di Vicenza. In: Zorzi, F., Boscardin, M., (eds. ), Minerali del Veneto. Alla scoperta dei tesori della nostra regione. Museo di Storia Naturale e Archeologia di Montebelluna - Treviso, Cierre Edizioni, Sommacampagna, 173-246. Kusachi et al (1979) Koubutsugaku Zasshi, 14, 124-130. Kishi et al (2003) Chigaku Kenkyu, 52, 131-137. Espejel-Garcia, D., Wenglas-Lara, G., Villalobos-Aragon, A., & Espejel-Garcia, V. V. (2012, December). Geochemical characterization and leaching behavior of slags: by-product materials from an old lead smelter in Chihuahua, Mexico. In AGU Fall Meeting Abstracts. Marincea, S., Dumitras, D. G., Ghinet, C., & Bilal, E. (2014, September). Superposed parageneses in the gehlenite-bearing, high-temperature skarns from Oraviţa (Banat, Romania). In IMA2014. Marincea, Ş., Bilal, E., Verkaeren, J., Pascal, M.-L., and Fonteilles, M. (2001) Superposed paragenesis in spurrite-, tilleyite- and gehlenite-bearing skarns from Cornet Hill, Apuseni Mountains, Romania. Canadian Mineralogist: 39: 1435-1453.; The Canadian Mineralogist Vol. 39, pp. 1405-1434 (2001); Marincea, Ş., Dumitraş, D. G., Călin, N., Anason, A. M., Fransolet, A. M., & Hatert, F. (2013). Spurrite, tilleyite and associated minerals in the exoskarn zone from Cornet Hill (Metaliferi Massif, Apuseni Mountains, Romania). The Canadian Mineralogist, 51(3), 359-375. Armbruster, T., Lazic, B., Gfeller, F., Galuskin, E.V., Galuskina, I.O., Savelyeva, V.B., Zadov, A.E., Pertsev, N.N., Dzierżanowski, P. (2011): Chlorine content and crystal chemistry of dellaite from the Birkhin gabbro massif, Eastern Siberia, Russia. Mineralogical Magazine, 75, 379-394. P.M. Kartashov data; Lennikov, A. M., Zalishak, B. L., & Oktyabrsky, R. A. (2004). The Konder massif of ultramafic and alkaline rocks and related PGM mineralization. In Interim IAGOD Conf. Excursion Guidebook. Vladivostok: Dalnauka (p. 29). Kogarko, L. N., Plant, D. A., Henderson, C. M. B., & Kjarsgaard, B. A. (1991). Na-rich carbonate inclusions in perovskite and calzirtite from the Guli intrusive Ca-carbonatite, polar Siberia. Contributions to Mineralogy and Petrology, 109(1), 124-129. Arzamastsev, A.A. [Арзамасцев, А.А.] (1990): Alkaline ultramafites in the Khibiny massif: new data and petrological implications [Щелочные ультрамафиты в Хибинском массиве: новые данные и петрологические следствия]. In: Alkaline magmatism of the north-eastern sector of the Baltic Shield [Щелочной магматизм северо-восточной части Балтийского щита]. Kola Scientific Centre, USSR Academy of Science Press [Издательство Кольского НЦ АН СССР], Apatity, pages 4-19 (in Russian); Arzamastsev, A.A., Arzamastseva, L.V., Glaznev, V.N., Raevskiy, A.B. [Арзамасцев, А.А., Арзамасцева, Л.В., Глазнев, В.Н., Раевский, А.Б.] (1998): Deep structure and composition of the bottom horizons of the Khibiny and Lovozero complexes, Kola Peninsula: petrological-geophysical model [Глубинное строение и состав нижних горизонтов Хибинского и Ловозерского комплексов, Кольский полуостров: петролого-геофизическая модель]. Petrology [Петрология], 6, 5, 478-496 (in Russian); Yakovenchuk, V.N., Ivanyuk, G.Yu., Pakhomovsky, Ya.A., Men'shikov, Yu.P. (2005): Khibiny. Laplandia Minerals Ltd. (in association with the Mineralogical Society of Great Britain and Ireland), Apatity, 468 pp. Verhulst, A., Balaganskaya, E., Kirnarsky, Y., & Demaiffe, D. (2000). Petrological and geochemical (trace elements and Sr–Nd isotopes) characteristics of the Paleozoic Kovdor ultramafic, alkaline and carbonatite intrusion (Kola Peninsula, NW Russia). Lithos, 51(1), 1-25.; Downes, H., Balaganskaya, E., Beard, A., Liferovich, R., & Demaiffe, D. (2005). Petrogenetic processes in the ultramafic, alkaline and carbonatitic magmatism in the Kola Alkaline Province: a review. Lithos, 85(1), 48-75.; Subbotin, R. P. L. V. V., & Pakhomovsky, Y. A. (1998). A new type of scandium mineralization in phoscorites and carbonatites of the Kovdor massif, Russia. 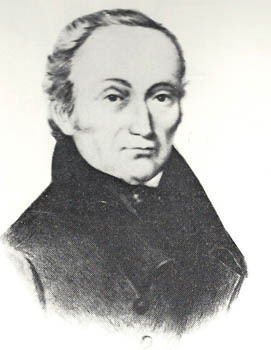 Canadian Mineralogist 36:971-980. ; Mikhailova, J. A., Kalashnikov, A. O., Sokharev, V. A., Pakhomovsky, Y. A., Konopleva, N. G., Yakovenchuk, V. N., ... & Ivanyuk, G. Y. (2016). 3D mineralogical mapping of the Kovdor phoscorite–carbonatite complex (Russia). Mineralium Deposita, 51(1), 131-149. A. N. Korobeinikov, F. P. Mitrofanov, S. Gehör, K. Laajoki, V. P. Pavlov and V. P. Mamontov (1998) Geology and Copper Sulphide Mineralization of the Salmagorskii Ring Igneous Complex, Kola Peninsula, NW Russia. J. Petrology 39:2033-2041. Putintseva, E. V., & Spiridonov, E. M. (2017). Allanite-(Ce): a Typical Mineral of Metakimberlite from the Lake Kimozero Area, Karelia. Geology of Ore Deposits, 59(8), 720-728. Boyd, F.R., Pokhilenko, N.P., Pearson, D.G., Mertzman, S.A., Sobolev, N.V., and Finger, L.W. (1997): Contributions to Mineralogy and Petrology 128, 228-246.; Sharygin I.S., Golovin A.V. (2001) Origin of djerfisherite in mantle xenoliths and its relation to kimberlite magmatism. Abstracts of XXVII International conference School «Geochemistry of Alkaline rocks». – Moscow-Koktebel’. pp. 240 pp. ; Sharygin, V. V., Kamenetsky, V. S., & Kamenetsky, M. B. (2008). Potassium sulfides in kimberlite-hosted chloride–“nyerereite” and chloride clasts of Udachnaya-East pipe, Yakutia, Russia. The Canadian Mineralogist, 46(4), 1079-1095. Galuskin, Evgeny V. et al. (2007) Dovyrenite Ca6Zr[Si2O7]2(OH)4: Vol. 38(1) , 15-27.; Konnikov, E.G., Meurer, W.P., Neruchev, S.S., Prasolov, E.M., Kislov, E.V., and Orsoev, D.A. 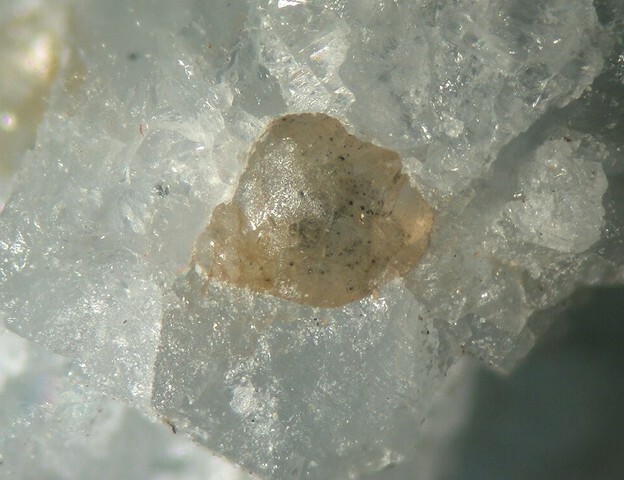 (2000): Mineralium Deposita 35, 526-532. Koděra P., Uher P., Ozdín D., Kollárová V., Lexa J., 2009: Monticellit, clintonit a hydroxylellestadit-fluorellestadit: vzácne skarnové minerály na Cu-Au porfýrovo-skarnovom ložisku Vysoká – Zlatno (štiavnický stratovulkán). Mineralia Slovaca, 41, 2, 169-178.; P. UHER, P. KODĚRA, T. VACULOVIČ (2011): Perovskite from Ca-Mg skarn-porphyry deposit Vysoká – Zlatno, Štiavnica stratovolcano, Slovakia. Mineralia Slovaca, 43, 247-254.; Ozdín D., Uher P., Koděra P. (2013) Prvý výskyt kobaltpentlanditu na Slovensku (Ca-Mg skarn, Vysoka-Zlatno) [First occurrence of cobaltpentlandite in the Slovak Republic (Ca-Mg skarn, Vysoká-Zlatno)]. Bull. mineral.-petrolog. Odd. Nár. Muz. (Praha) 21, 2, 234-239. Field, M., Stiefenhofer, J., Robey, J., and Kurszlaukis, S. (2008): Ore Geology Reviews 34, 33-75.; Soltys, A., Giuliani, A., & Phillips, D. (2018). Crystallisation sequence and magma evolution of the De Beers dyke (Kimberley, South Africa). Mineralogy and Petrology, 1-16. Giuliani, A., Soltys, A., Phillips, D., Kamenetsky, V. S., Maas, R., Goemann, K., ... & Griffin, W. L. (2017). The final stages of kimberlite petrogenesis: petrography, mineral chemistry, melt inclusions and Sr-CO isotope geochemistry of the Bultfontein kimberlite (Kimberley, South Africa). Chemical Geology, 455, 342-356. Mitchell, R.H. and Belton, F. (2004) Niocalite-cuspidine solid solution and manganoan monticellite from natrocarbonatite, Oldoinyo Lengai, Tanzania. Mineralogical Magazine: 68: 787-799.; Mattsson, H. B., & Reusser, E. (2010). Mineralogical and geochemical characterization of ashes from an early phase of the explosive September 2007 eruption of Oldoinyo Lengai (Tanzania). Journal of African Earth Sciences, 58(5), 752-763. Taner, M. F., Martin, R. F., & Gault, R. A. (2013). The Mineralogy of Skarns of the Spurrite–Merwinite Subfacies, Sanidinite Facies, Güneyce–Ikizdere Area, Eastern Black Sea, Turkey. The Canadian Mineralogist, 51(6), 893-911. Barker, D.S. and Nixon, P.H. (1989) High-Ca, low-alkali carbonatite volcanism at Fort Portal, Uganda. Contributions to Minralogy and Petrology. : 103: 166-177. Cann, J.R. (1965) The metamorphism of amygdales at 'S Airde Beinn, Northern Mull. Mineralogical Magazine, vol. 34, n° 268, 92-106. Mineralogical Magazine 1965 34 : 1-15. Tilley, C.E. (1947) The gabbro-limestone contact zone of Camas Mor, Muck, Inverness-shire. Comptes Rendus de la Société geologique de Finlande, No. 140, 97–105. HOLNESS, M. B. (1992). Metamorphism and fluid infiltration of the calc-silicate aureole of the Beinn an Dubhaich granite, Skye. Journal of Petrology, 33(6), 1261-1293. Eakle, Arthur Starr (1916), Xanthophyllite in crystalline limestone: Washington Academy of Science Journal: 6: 332-335; Eakle, A.S. (1917) Minerals associated with crystalline limestone at Crestmore, Riverside County, California. University of California Bull. Department of Geology: 10: 342; Moehlman, R.S. and Gonyer, F.A. (1934) Monticellite from Crestmore, California. American Mineralogist: 19: 474-476; Heller, L. & H.F.W. Taylor (1956), Crystallographic data for the calcium silicates, H.M. Stationery Office, 79 pp. : 34; Carpenter, A.B., R.A. Chalmers, J.A. Gard, K. Speakman & H.F.W. Taylor (1966), Jennite, a new mineral: American Mineralogist: 51: 56-74. Moehlman, Roberts Stevens & Forest A. Gonyer (1934), Monticellite from Crestmore, California: American Mineralogist: 19: 474-476; Woodford, A.O., Crippen, R.A., and Garner, K.B. (1941) Section Across Commercial Quarry, Crestmore, California. American Mineralogist: 26: 366, 371. Woodford, A.O., Crippen, R.A., and Garner, K.B. (1941) Section Across Commercial Quarry, Crestmore, California. American Mineralogist: 26: 366. Cooney, R.L. (1956), The mineralogy of the Jensen and Henshaw quarries near Riverside, California: Unpublished Master’s thesis, University of California at Los Angeles: 33; Pemberton, H. Earl (1983), Minerals of California; Van Nostrand Reinholt Press: 479; Devito, F. and Ordway, A. (1984), The Jensen Quarry, Riverside County, California. Mineralogical Record: 15(5): 273-290. American Mineralogist (1935): 20: 815. Schaller, Waldemar Theodore (1935), Monticellite from San Bernardino County, California, and the monticellite series: American Mineralogist: 20: 815; Hewett, Donnel Foster (1956) Geology and mineral resources of the Ivanpah quadrangle, California and Nevada, USGS Professional Paper 275, 172 pp. : 70-72; Sahama, T.G. and Hytoenen, K. (1958) Calcium-bearing magnesium-iron olivines. American Mineralogist: 43: 867; Murdoch, Joseph & Robert W. Webb (1966), Minerals of California, Centennial Volume (1866-1966): California Division Mines & Geology Bulletin 189: 272. Schaller, Waldemar Theodore (1935), Monticellite from San Bernardino County, California, and the monticellite series: American Mineralogist: 20: 815; Hewett, D. F. (1956) Geology and mineral resources of the Ivanpah quadrangle, California and Nevada, USGS Professional Paper 275, 172 pp. : 70-72; Sahama, T.G. and Hytoenen, K. (1958) Calcium-bearing magnesium-iron olivines. American Mineralogist: 43: 867; Murdoch, Joseph & Robert W. Webb (1966), Minerals of California, Centennial Volume (1866-1966): California Division Mines & Geology Bulletin 189: 272. Abstracts with Program of the Geological Society of America: 11: 65. Bikerman, Michael et al. (1997). New Phlogopite K-Ar Dates and the Age of Southwestern Pennsylvania Kimberlite Dikes. Rocks & Minerals (1991): 66:3: 196-224. Rocks & Minerals: 66(3): 196-224. Dodd, R.T. (1971) Calc-Aluminous Insets in Olivine of the Sharps Chondrite: Mineralogical Magazine 38 (296), 451-458. (Dec 1971).